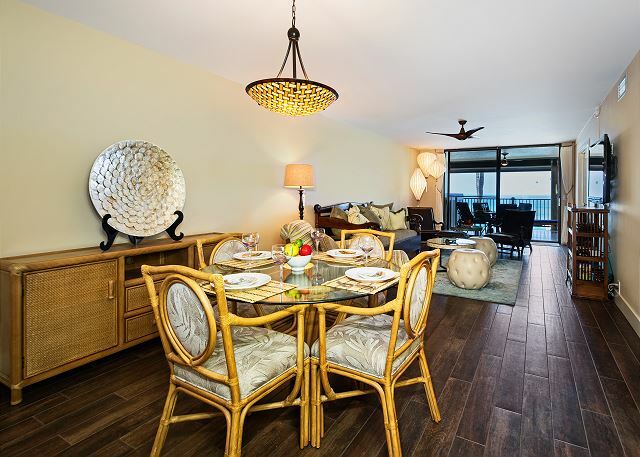 Enjoy an amazing Hawaiian vacation in this completely remodeled spacious Air Conditioned, 1200 sq ft 2 bedroom, 2 bath third-floor top floor unit in a private 15-unit, elevator equipped, shoreline complex. 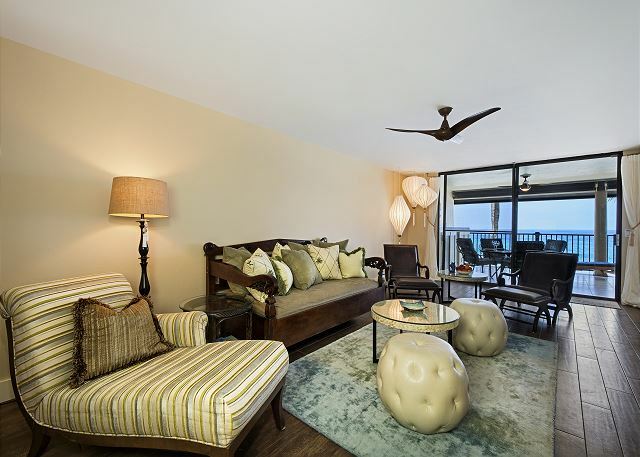 This unit has spectacular ocean views from both the living room, master bedroom, as well as from the spacious oversized 346 sq. ft lanai. Open the sliding glass doors, and soak up the views while watching the dolphins and whales (when in season) all the while listening to the sounds of the ocean. There is a nice sandy area by the ocean to sit and enjoy the sun. 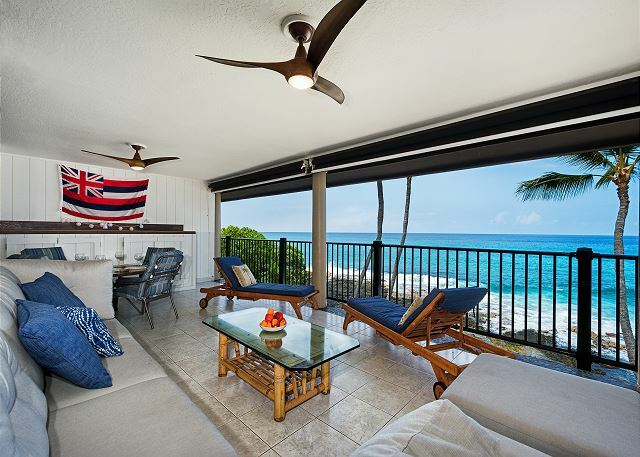 Kona Nalu is conveniently located, a great home base to explore the many wonders of the Big Island of Hawaii including the Volcano National Park, Mauna Kea Observatory, coffee and macadamia nut farms, artist communities, and more! We had a great stay at the condo. The Lanai is fantastic. We spent hours in the morning with coffee and in the evening for sunsets. No need to go anywhere else for either. 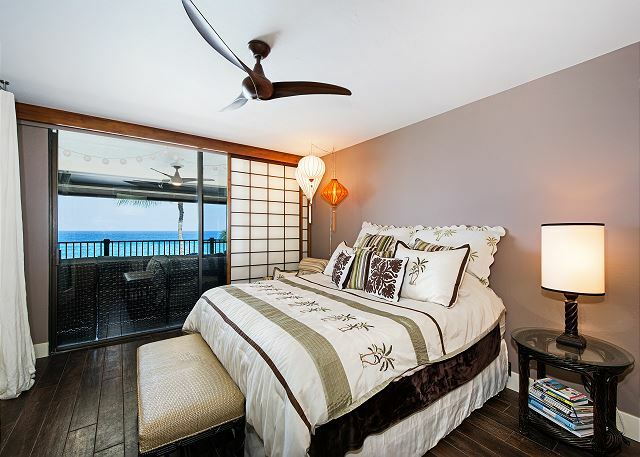 The big sliding glass door was perfect for sleeping with the doors open to the sound of the waves. There were plenty of supplies for the the 5 days we stayed. The kitchen is nicely stocked and we didn't have any issues cooking for ourselves. One note, there is no ice maker in the freezer. There are ice cube trays, but only a couple. Management company was easy to work with. Don't hesitate to rent this condo. Thank you for your review of Kona Nalu 304. 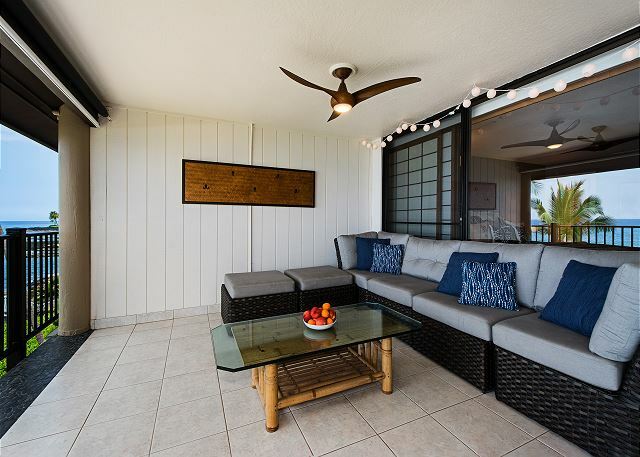 This condo has a fantastic lanai and we are thrilled to hear you enjoyed morning coffee, evening sunsets and much time listening to the sounds of the waves! We do hope you are able to return for another visit! Thank you for posting this review of Kona Nalu 304. We sincerely hope you return, and please do contact our attentive property manager for our coveted repeat visitor rates which are the best you can access. This was an excellent location with good all around access. 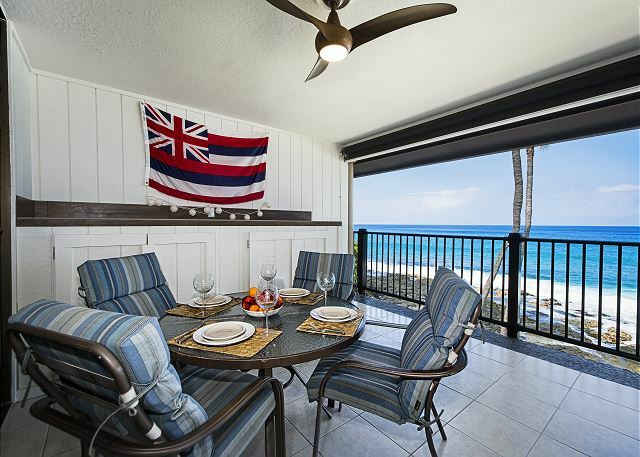 It has a wonderfully comfortable lanai for relaxing and enjoying the ocean view. Wonderful........everything you could need or want is right here! We loved every moment, the owners thought of everything and then some ( well al almost, the blender was missing parts so it was unusable) probably not their fault I’m sure! You can’t go wrong here so go ahead and book it, you will be glad you did! The sunsets alone are more than worth it from the amazing lanai over the water! My best tip? Pick up some Bloc from the KTA grocery near the condo. Really good stuff and you will enjoy that wonderful view from the lanai so much more when you don’t have to worry about ’s all natural and works so well! Thank you for posting this 5 star review of your experience at the property! We are happy to hear you took advantage of all the amenities the condo had to offer as well as the beautiful sunsets. We sincerely hope to see you guys again soon. Simply remember that the best possible rates are found directly through Boundless Hawaii. Thank you for posting this review of your experience at the property! Thank you for the feedback. We are happy to hear you had a wonderful time. We sincerely hope to see you guys again soon. Simply remember that the best possible rates are found directly through Boundless Hawaii. When we arrived the toilet in the hall bath was leaking, the fan in the master suite didn’t work and the elevator was not working. We got in late and called and all problems were fixed the next day. 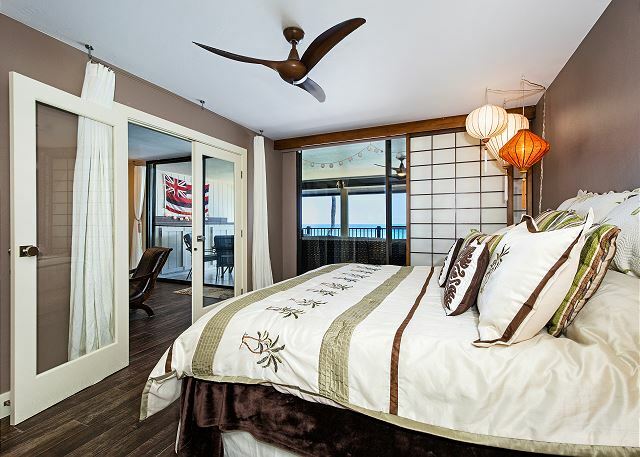 The view was spectacular, the rooms were spacious,the entire unit was very clean, and well stocked with spices, paper products, and beach equipment. We're sorry to hear you experienced issues upon arrival. I'm glad to hear they were resolved the next day and didn't impact your stay. We hope to see you again soon! When we arrived here it was night and we had a problem accessing our code but thanks to Nick the problem was solved quickly. The condo was lovely , comfortable with everything we needed. 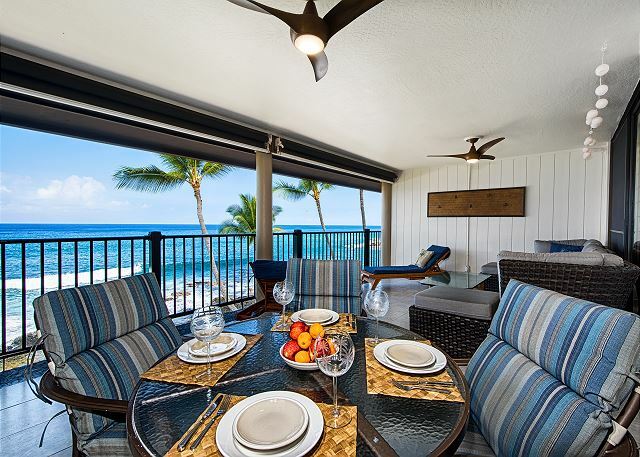 The biggest attraction for us was the incredible lanai - it was large with lots of comfy furniture and a perfect view out to the ocean. The tide pools gave us hours of entertainment watching the turtles that came in with the waves. We were able to get close to take pictures and we watched people fish and walk the rocks. We were close to Kona so we could enjoy shopping and meals . All in all we loved it and would return in a heartbeat. Thanks so much for the help we received from Nick at Boundless when we needed anything. Only 1 complaint - parking was sometimes tricky as there weren’t enough spaces. Mahalo for an incredible experience !!! Sue, I'm sorry you struggled with entry, glad to hear however that Nick was able to get you into the unit immediately. Please come back any time and take advantage of our returning client discount! This rental is as described by the owner. It is conveniently located in Kona. We were pleased with the cleanliness and condition of the rental. We plan to come back to Kona and would stay here again. Thank you for the positive review! If and when you do decide to return, don't forget we offer a returning client discount! 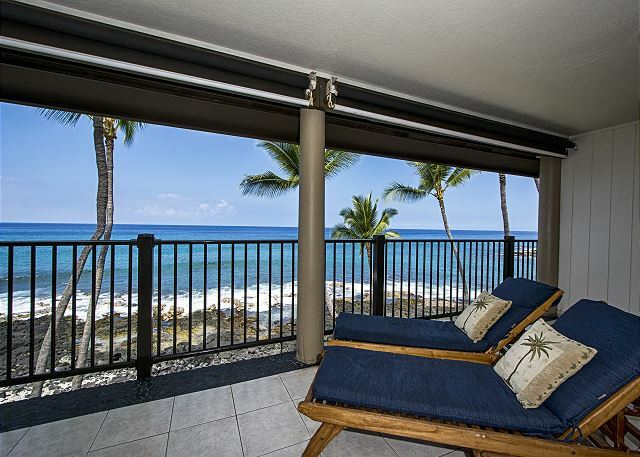 You can't beat many aspects of this rental: the view, the lanai, the comfort, convenience and location. You're far enough from the tourists and road noise, but close enough to walk to dinner (albeit, on a busy road). Only gripes: no one told us we had an assigned parking spot, and a nice neighbor prevented us from getting towed; the sliding doors were stubborn. Thank you for your feedback regarding the sliding doors, we will have them looked at as soon as possible. As for the parking, you will find that information in the app as well as our instructions, however I am glad you were informed either way. We would love for you to return and to encourage you to do so we offer a returning client discount! Wonderful - book it before someone else does! This vacation rental was exactly as described. Well maintained and beautiful space. 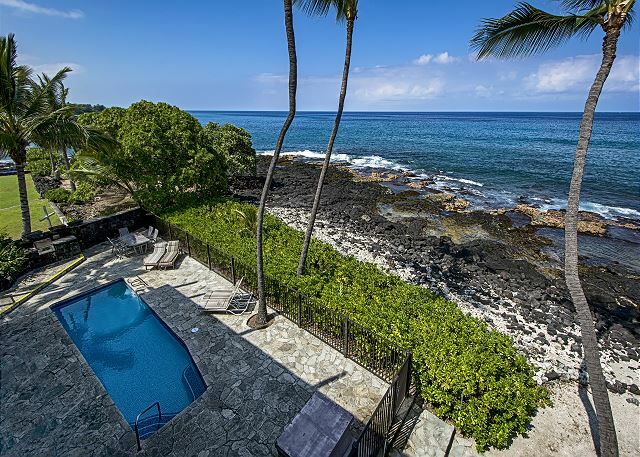 Lanai is to die for -you could live on this lanai. Very well equipped kitchen and pretty, spacious bathrooms. Comfortable bedrooms. Everything was well appointed as advertised. Absolutely no complaints here. Great location, nice place. 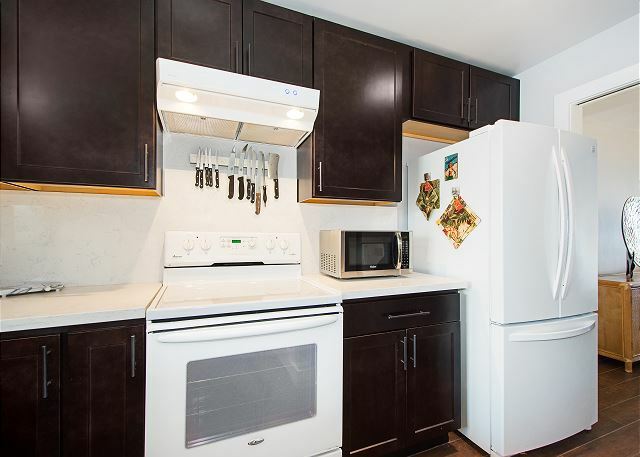 A few minor repairs suggested: the stove light is on because the door is not adjusted, and one the refrigerator doors tend to pop open when the opposite door is used. a couple of light bulbs are burned out. Haven't seen a TV that old in along time! It wasn't used, but that was sort of surprising given the relative modern approach to the rest of the place. Minor stuff really. Aloha and thank you for your review. We also thank you for your suggestions, as this helps us keep the condo in the best condition for the next renter. We hope to see you again on your next trip to Kona! Truth in advertising: spectacular views! Mahalo for taking the time to leave feedback. We are happy that you enjoyed your time in the condo and apologize for the issues with the sheets. We will have our housekeeping team address this right away to assure that there are no further mildew smells. We appreciate your information and hope that you do return to visit us. As a returning guest, you will be eligible for a 10% discount on your next reservation when you book through Boundless Hawaii. Aloha! This was an amazing place to fact we didn't want to leave! The views were spectacular and the ocean is literally right there. The pool was lovely and the lanai was perfect for lounging and eating our meals. From the master bedroom, you can hear the ocean which was really nice. This was really the perfect place. There were some boogie boards, coolers, and beach chairs which made it easy to have a fun beach day. I would highly recommend this place and if we come back and need a two bedroom place to rent, I would come back to this unit. Thank you for your wonderful review. We would love to welcome you back! Please don't forget to book directly for your 10% discount as a returning guest. 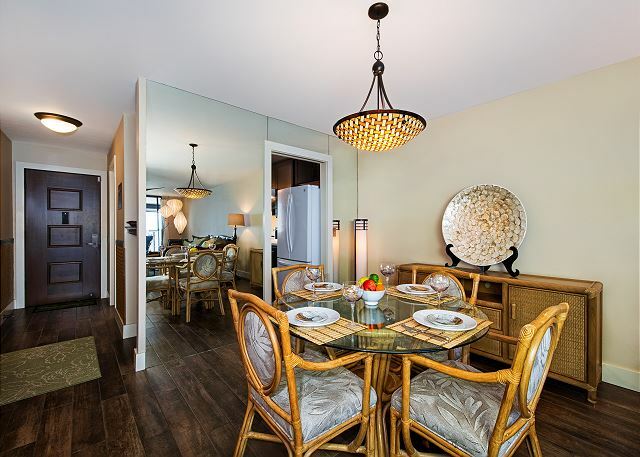 Beautiful condo directly overlooking the ocean. Furnishings were nice and bed was comfortable. Recommended. Thank you for your review, we appreciate you for taking the time to offer feedback. Please let us know when you plan on returning to Kona. We would be happy to host you for your next visit. Remember, returning guests receive a 10% discount on bookings made directly through our office or website. Aloha, Thank you for taking the time to leave a review. We are happy you had a pleasant visit. 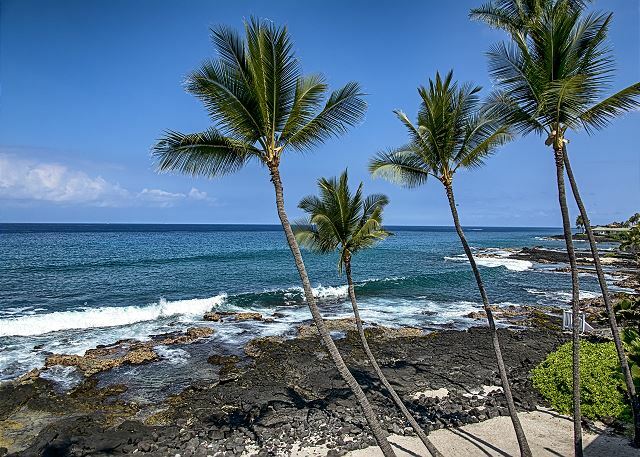 Please let us know when you return to Kona and we would be happy to help you plan your next trip. Remember, returning guests receive a 10% discount on any of our units booked through Boundless Hawaii directly. We went to celebrate our 30th wedding anniversary. We didn't need the extra room, but wanted the lanai. We spent every other day just enjoying the large comfortable lanai. Everything we needed was provided. The décor is beautiful and comfy. Communication with the management company was easy and everyone was helpful and nice. This would be a great place for an escape. With the washer dryer, you can cut your packing in half. We used yelp to find some places to eat, ribs at TJs down at the market place, Café Pesto when we were in Hilo. Oh we downloaded a driving tour application on our phone to tour the island - that was very useful. The condo was just what we wanted for our stay in Kona! 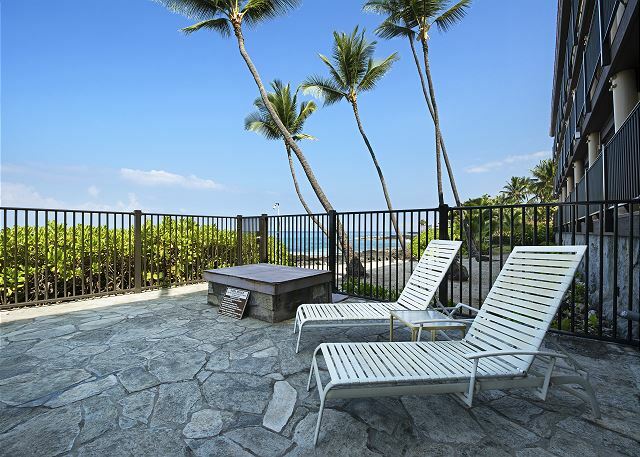 The lanai was huge with comfortable outdoor furniture. The view was spectacular! Awesome sunsets every afternoon. The rooms were spacious & comfortable. We very much enjoyed our stay. The condo complex is small and fairly bland exterior. However the interior of the condo is exquisite and extremely comfortable. The condo swimming pool is tiny but rarely used. The condo is on the top floor (3rd) and the visits are spectacular. The management company wanted me to install an app on my cell phone to gain access to the property. I'm not a big fan of putting numerous apps on my phone. We were able to work around it but some of the communications were a bit confusing and weekend calls to the management weren't returned until after the weekend. However, overall I would stay here again in a heartbeat and highly recommend the property to others. 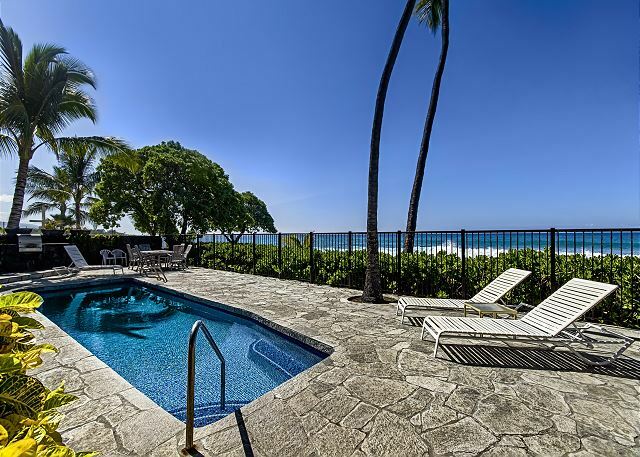 We rented this property for five days while vacationing on the Big Island. We could not have been happier. The unit was exactly as described. Clean and well maintained. The kitchen was well stocked with pots and pans. The bed rooms were roomy and had comfortable king beds. The bathrooms were updated and clean. It had a great furnished patio overlooking the ocean, complete with beach chairs and straw mats. They did supply beach towels as well. The only issue was there were no instructions on how to use the remotes (one TV had three!) for the three TV's. We called the evening we arrived and got a response the next day. The issue was solved by calling the local cable company and them walking us through the set up. We would suggest some written instructions placed by the main TV. Simple fix. Overall we were extremely pleased with our unit and our amazing stay on the Big Island. While looking at this rental property there were no reviews so I was a little hasitant to book but due to location we did, and we were NOT dissapointed. The place was very nice and clean, the A/C was great and kept it nice and cool. 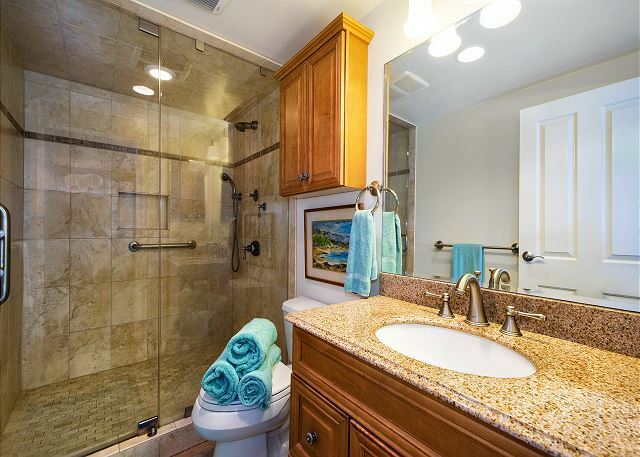 Bathrooms were clean and bright and in great shape. Lani was amazing and veiws were outstanding, Lots of chairs and loungers to sleep on. The condo building is a little dated and needs some TLC but there was nothing wrong just cosmetic stuff on the outside. Bedrooms are a good size, clean and nice new beds. Kitchen was nice and new with everything you need to do your own cooking, one thing to remember is that the BBQ by the pool uses Charcol and not a gas one so that it takes a little longer but worth it. 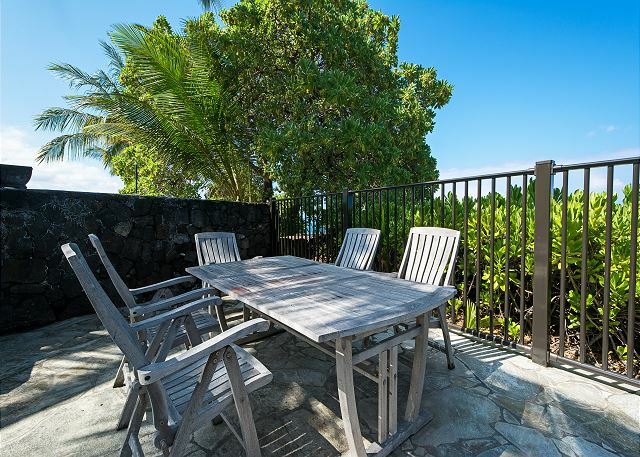 I would recommend Kona Nalu 304 for anyone wanting a nice,Clean relaxing place with great views and not to far from the town. 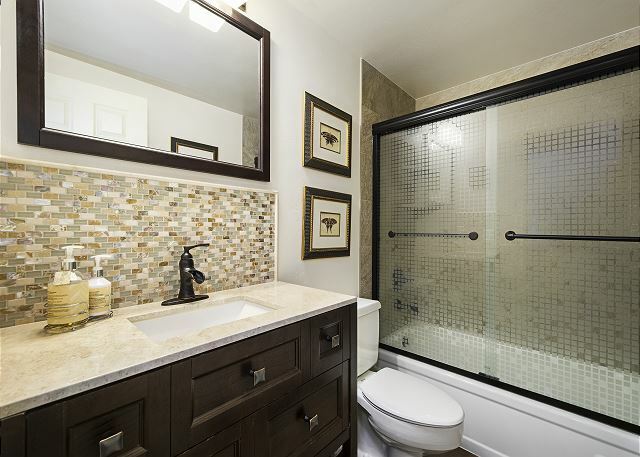 Lovely job on remodel ! Everything was the way should be and even exceeded our expectations. New remodeled unit , very nice appointed.